There are so many things that can come and discourage and disturb us. We are often faced with such challenging situations and circumstances. We can either allow them to overwhelm us, or we can choose to trust the Lord. One word from the Lord can turn things around at any moment. 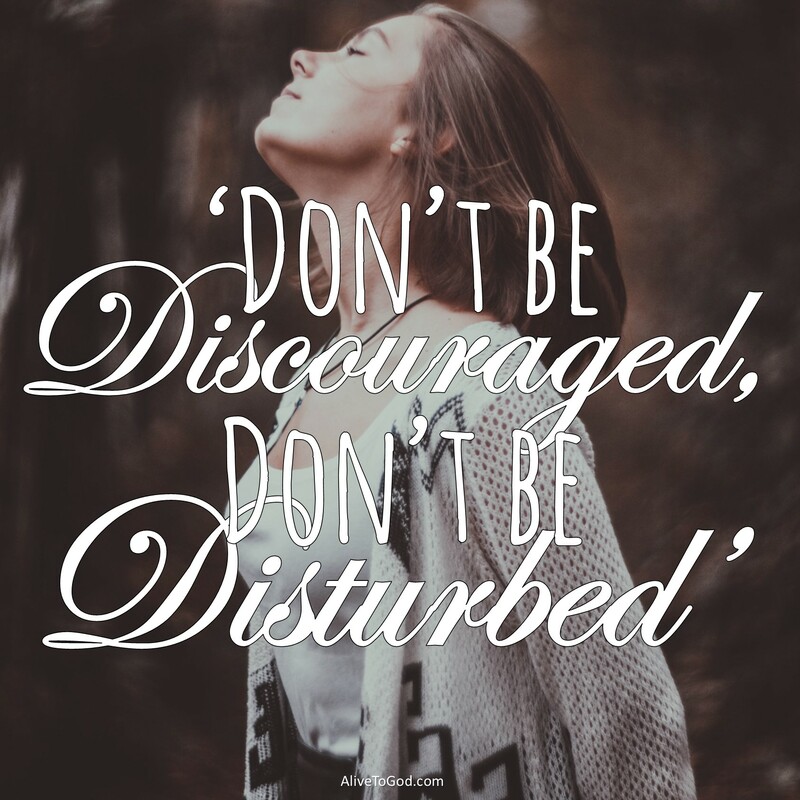 Prayer: Lord, I speak to my own soul and I tell myself that I will not be discouraged, and I will not be disturbed or distressed, because You are with me and I will trust You even when I don’t understand. Amen. Daar is vele dinge wat kan kom en ons ontmoedig en onrustig maak. Ons word dikwels deur sulke uitdagende situasies en omstandighede geteister. Ons kan toelaat dat dit ons oorweldig of ons kan kies om die Here te vertrou. Een woord van die Here kan enige oomblik alles tengoede laat omdraai. Gebed: Vader, ek praat met my eie siel en sê vir myself dat ek nie ontmoedig, onrustig of bedroef sal wees nie, want U is met my en ek sal U vertrou selfs terwyl ek nie verstaan nie. Amen. Muchas cosas pueden suceder e inquietarnos y angustiarnos. Muy seguido enfrentamos situaciones y circunstancias desafiantes. Podemos elegir si nos dejamos desbordar, o si elegimos confiar en el Señor. Una sola palabra del señor puede darle vuelta a las cosas en cualquier momento. Oración: Señor, hablo a mi alma y me digo que no me dejaré desanimar ni angustiar, porque Tú estás conmigo y yo confiaré en Ti aun cuando no comprenda. Amén. Un seul mot du Seigneur peut changer les choses à n’importe quel moment. Prière: Seigneur, je dis à mon âme et je me dis que je ne vais pas me décourager, je ne vais pas me troubler ou me bouleverser car Tu es avec moi. Je vais Te faire confiance même si je ne comprends rien. Amen!